THE STEAM HAND/MOP KIT consists of a flexible steam only hose, extension tubes to enable high level cleaning of walls, ceilings and floors, with a choice of a 20cm/40cm cleaning tools and cloth kits with velco strips. 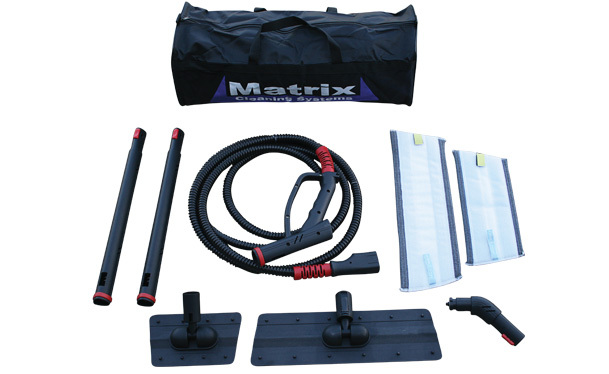 This kit can be used with any model of steam machine produced by Matrix. 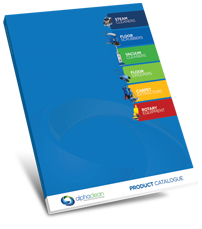 For greater productivity and larger areas the 60cm FLOOR Mop can be purchased as an optional extra.